Bought two of these for my elderly parents, who needed to replace their old equipment but didn't want to spend much. 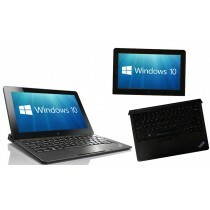 Ideal solution for them as they only need internet and limited office application access. The machines are both compact and once coupled with SSD drives perform really well. The machines are very quick to boot and startup WIndows 10. Saved me having me from having to rebuild old kit and licence OEM windows, so everyone's happy. MicroDream delivered the kit very quickly and were extremely accommodating when one of the shipments was delivered when my wife was out. Very happy with both the service and kit and will buy more in the future.